It’s that time of the year again when the entire Tri-Valley is blossoming, the sun is shining, and spending time outdoors is on the top of our to-do list. Wildflowers are blooming, grape buds are breaking, and our hills are bright green. Find out how to get the most of your springtime trip to the Tri-Valley with some of the best seasonal activities to do in our region. Springtime weather in the Tri-Valley usually hovers around the mid-70’s, which is perfect weather for a lake day. 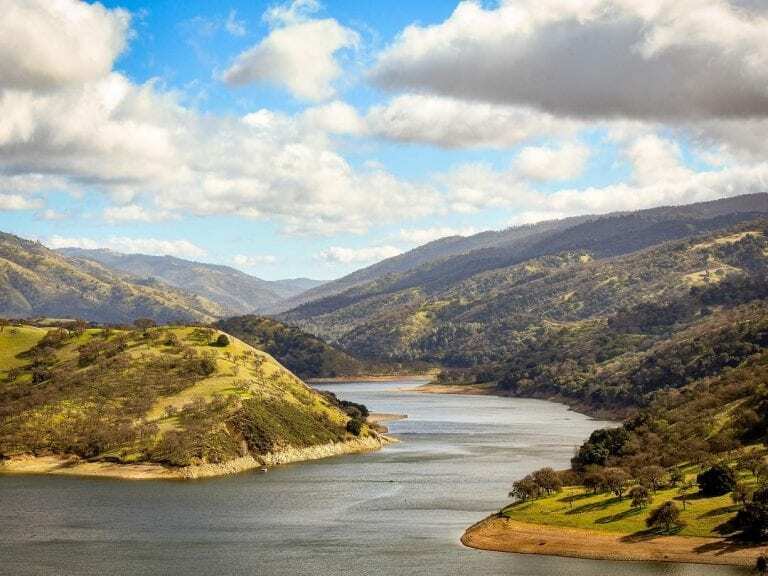 Lake Del Valle, located in Del Valle Regional Park, is a 5-mile long man-made lake offering a variety of water-oriented recreation. Visitors are welcome to swim in designated areas, bring their own boat, or rent equipment from the marina (paddle boats, pontoons, windsurf boards, stand up paddle boards, and more). The lake is surrounded by 4,395 acres of rolling hills and scenic viewpoints perfect for hiking, biking, and horseback riding. 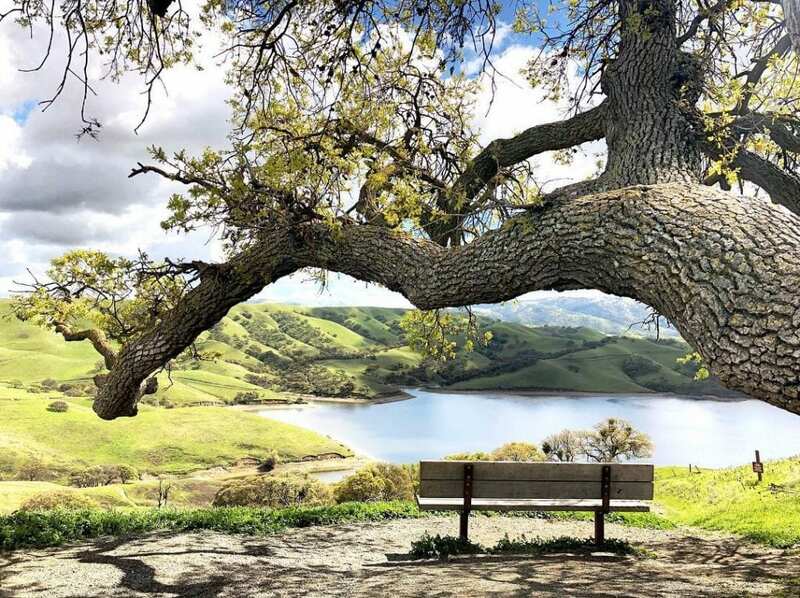 Shadowcliffs Lake, only a mile from downtown Pleasanton, is also a fitting springtime retreat. This swimming and fishing haven allows boats with electric motors, kayaks, canoes, and other water vessels that are within 17ft in length. Their long sandy beach makes for a great place to sunbathe, relax, or have a picnic. Besides the main lake, Shadow Cliffs has an arroyo with a chain of smaller lakes and ponds. While no swimming or boating is allowed here, the shaded pathways make for peaceful walking or running trails. What better way to ring in the season than by packing a snack and taking it somewhere gorgeous? Start by stopping at one of our year-round Farmer’s Markets located in our downtowns for some locally sourced snacks. located between K Street & J Street. Danville Farmer’s Market: Saturdays 9am-1pm, located next to the Museum of San Ramon Valley. Pleasanton Farmer’s Market: Saturdays 9am-1pm, located next to Lions Wayside Park on West Angela Street. If you’re lucky, you might even run into Chef Francis from Sabio on Main while you’re there! Once you have your Farmer’s Market finds, post up at one of our scenic picnic areas around the Tri-Valley. Our list of perfect picnic areas includes remote spots with lakeside views, community parks with other amenities, or picnic areas that are thousands of feet above sea level. With hundreds of miles of interconnected bike paths, visitors can easily navigate through the Tri-Valley while enjoying the great outdoors. If you didn’t bring your own bike, rent an Ebike from Pedego Livermore or Pedego Downtown Danville. Both Pedego shops are located in central areas close to popular regional points of interest. 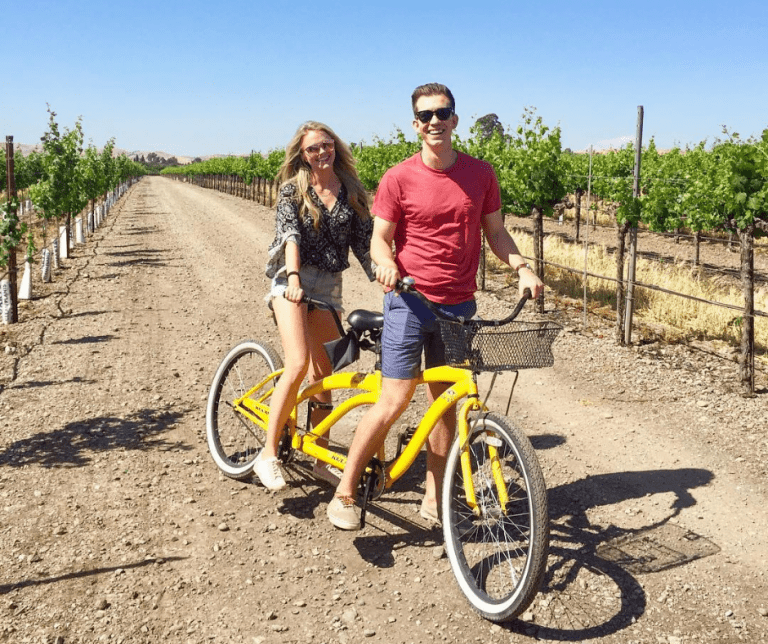 Cruise past vineyards and orchards and do some wine tasting along the way, or ride through the rolling hills to our charming downtowns, all with an optional throttle to boost your pedaling. If you’re seeking out great scenery, check out a few of our most popular bike trails in the Tri-Valley. Each spring, the hills surrounding the Tri-Valley are lit up with patches and fields of various wildflowers. Some of these flowers are so rare, that they bloom exclusively in this region and nowhere else in the world. 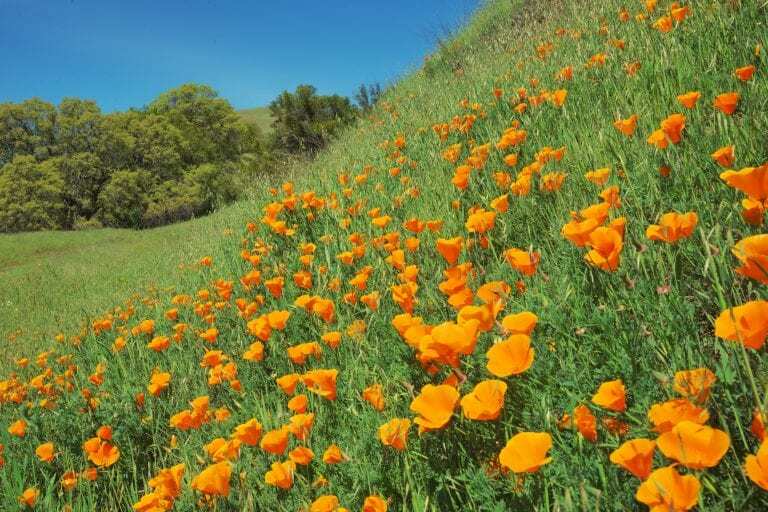 Mount Diablo State Park boasts some of the best wildflower sightings between mid-March and May. Local naturalists insist that the fields near Rock City, the road past the South Gate Entrance, and the Mitchell Canyon – Eagle Loop are all promising areas for petal perusing. Other great areas for wildflower watching include Del Valle Regional Park, Pleasanton Ridge Trail, and Sunol Regional Wilderness.